The past year has seen the Bean 'n' Berry coffeehouse in Wexford host the Red Chair song club. Basically the Red Chair night is an open mic night held every Thursday evening but with a couple of nice twists. Firstly it is not a noisey, ADD-type bar/pub but a coffee house (that also serves wine) that provides the location so immediately the atmosphere is set for relaxed and attentive listening rather than the performers attempting to sing over the crowd. Secondly, the night is split into two halves. The first half is for the open-mic performers who get a chance to showcase their own talents. This is always the Russian roulette part of the open mic night. It is extremely difficult to regularly draw a crowd to see completely unknowns as, although there is an outside chance you might witness the next Bob Dylan in an intimate setting, it is more likely you will hear some very raw recordings from a nervous, inexperienced performer. That is simply how these things work. However the draw is in the second part of the show where an established (if not necessarily famous) act plays a 30/40 minute acoustic set. Such acts to play already include Mick Flannery, Ollie Cole and John Spillane with local acts on the verge of releasing their debut albums such as Paul Creane & The Changing Band and Ian Doyle also performing acoustic sets. The quality of the second half not only ends the night on a high, it ensures that a decent crowd returns the next week with the night already establishing a firm cult following. The spill over from the success of the night has resulted in the standard of the first part improving dramatically (which recently included an impromptu performance from audience member Dan McLaughlin from Neon Flea Circus. 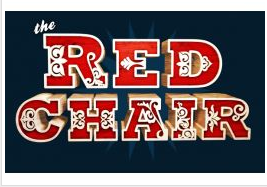 To mark and milestone the first successful year of the Red Chair night a compilation has just been released including a single track from more than a dozen performers. Notable stand-outs include original recordings from Pan, Fran Greene and Changing Band guitarist Seamus Turner as well as further tracks from Alan Byrne, Paul Creane, Ian Doyle, and others. There is a really good song-writing community that has developed over the past few years with the Sky & The Ground as a nice little hub.